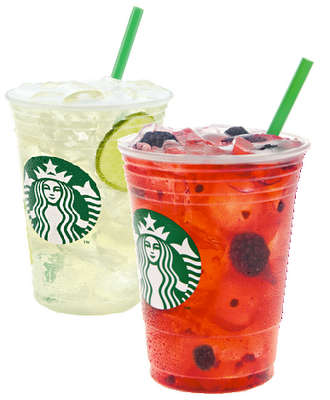 Today only from noon to 3pm Starbucks is offering a free Tall (12oz) Handcrafted Refreshers Beverage. It comes in 2 flavors: Cool Lime with real lime or Very Berry Hibiscus with whole blackberries...what better way to celebrate Friday the 13th! My daughter and I tasted both and liked the Cool Lime refresher. Very refreshing!!! I missed out on the free refreshers drink last week but I'll be sure to try the Cool Lime based on your recommendation. Now that it's warm out, I can't go wrong with the Cool Lime...Cheers!